Today’s column is about the time I tackled my father and stormed out of the house. It is also about World of Warcraft. It covers a lot of ground, that’s my point. Of course, the problem with that question is that it presupposes that I hate the game, that the only possible reason I could have for saying negative things about World of Warcraft is if I just straight-up hate the title and everything it stands for. And that segues nicely into a wider discussion that applies to WoW as well as discussing things in general. Into an examination of what it means to care about something. And yes, it segues into tackling my father. I did the only thing I could think of to do. I tackled him to the ground, wrestled his keys out of his hand, and started walking to where my uncle was stuck. Dad didn’t take it particularly well, shouting after me that I obviously didn’t love my father or I wouldn’t act that way. But that simply wasn’t true. I loved my father then, and I miss him now, and I just didn’t want him getting behind the wheel of a vehicle when he was a danger to himself and others. Not a shining moment of father-son relations, no, but it illustrates a point that tends to get overlooked: Caring about someone or something is not the same as being nice. It means that you care. Let’s make something as clear as it can possibly be: I adore World of Warcraft. I think that it’s had a more positive effect upon MMOs than can be adequately explained. It took the industry by storm when it came out because it showed that people were waiting to get in on this sort of game if you just made it something other than tediously painful to play. The game has endured for more than a decade and has brought me untold amounts of joy. For that matter, this is a game in which my wife and I began to walk the road from “friendship” to “relationship,” and it’s the game I can directly credit with introducing me to Massively-that-was. I’ve been a professional writer for seven years now because of this game. If I wanted to make a list of games that have profoundly influenced my life as a whole, this would be right near the top. Let’s make something else as clear as it can possibly be: World of Warcraft has been stagnating, badly, for several years now. It doesn’t take much to see that. Subscriber declines have been marked and atrocious. The game has continued to pour 90% of its design work into content experienced by 10% of the population at the highest. Horrible content droughts have plagued the title for an extended period of time, and the content that has been released frequently involves offering the most content to the smallest group of players. We are currently eight months out in a content drought after the end of an expansion that had two major patches. Two! And one of those patches wasn’t even a content patch. And that’s after a 14-month gap before that almost microscopic expansion. Since this time three years ago, we’ve had four major content drops. That’s it. By contrast, The Secret World has managed to put out more content in that same timeframe, and I’m pretty sure that the team behind that game hasn’t got a trillionth of Blizzard’s budget. This is not good. This is out-and-out bad. It’d be bad coming from any company, and it’s downright insulting from a company that is running an enormously successful game. It’s the result of concentrated, repeated design decisions that have been made over the years. So what do you do, as someone who cares about the game? The answer is not “you shrug your shoulders and move on.” That’s just putting forth the idea that everything going on here is entirely fine and there’s no reason to give it a second thought. I cannot do that. I love this game. I love the stuff it contains, I love the potential that it has, I love playing it, and I love what it can be. Saying that things are fine when the game’s developers are clearly running the damn thing into the ground is dishonesty of the highest order. Positivity is not indicative of how much you care about something; passion is. Passion means that sometimes you criticize the things that you care about. You walk backwards through statements made at conventions and figure out if you somehow misheard something. You call out bad communication and actions that build adversarial relationships with players. You keep an eye on what’s being done wrong and you draw attention to it. You tackle your father and keep him safe when you need to — because you care. In this job, as with all things, I’m a reflection of what I have to work with. I would love nothing more than to write about a game that really capitalized on the lessons learned in previous years with an eye toward making a better game for all – and I can frequently write about that. But unfortunately, I rarely get a chance to write that about World of Warcraft. Instead, I have wound up writing a lot about delayed content, ignored lessons, and obnoxious habits that don’t need to be repeated because there must have been at least one designer who passed along a memo or two about lessons learned three expansions ago. In theory, anyhow. I’m angry because this is a game that can be better, should be better, and it isn’t being handled well. To be completely frank, you should be angry too. Criticism does not simply come from a place of hating something; it comes from a place of caring about something enough that you can’t just ignore bad habits. Feedback, as always, is welcome in the comments or via mail to eliot@massivelop.com. That part’s the same as it’s ever been. 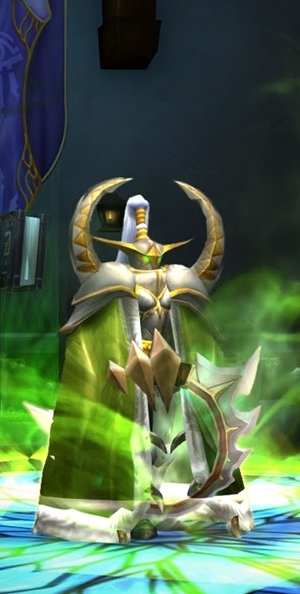 Next time around, I’m going to talk about my experience with further play in the Legion alpha, what’s working or not thus far, and why Demon Hunters both totally work and don’t really live up to the mantle of “hero class” as well as they ought to. vicariousfan DrowNoble Yes WoW is successful, but its success is fading and Blizzard is the primary fault. Early on, I’m sure you could say they never did an MMO before so they didn’t know how to deal with such runaway success. Yet, they keep making mistakes and people are leaving. DK’s were the “first hero class” introduced in the 2nd expansion. Yet it’s taken Blizzard til 2016 to make the 2nd hero class? Their subs are tanking and other games in the Activision stable are now having to pick up the slack. This doesn’t have to happen if Blizzard can get their s**t together. Silmol EmberDione vicariousfan DrowNoble My suspicion is that the WoW codebase has developed over the last 15 years+ (or thereabouts, not sure how long it was in dev prior to release) to become a staggeringly unmaintainable mess. I’ve worked on codebases that old, and older, and it is terrifying how long it can take to make the simplest change. I worked for a while for a company that did projects for customers – that’s all I can say without jailtime – that were big. Really big. I worked on a small project – 100 software developers, 100 hardware engineers, plus system engineers, operations/UI specialists, and test folks. We built a big system in 3 years on time and under budget. We also got paid overtime after 4 OT hours per week. We had crunch time to meet milestone and delivery targets. But, they kept track of your OT, and would back you off if you had too much. They had hard data that showed dramatic dropoffs in productivity after extended time working OT. And they wouldn’t let you work more than 60 hours/week. I hit 60 hours a couple of times – once before an internal delivery of a device driver for custom hardware I was responsible for, and once during delivery at a customer site. To this day, I question the silicon valley technique of hiring a bunch of newbies and burning them out over a year or two. It’s not a way to build a good culture. The puzzling thing is that Blizzard has made substantial investments in developer tools – this was confirmed to me by a Blizzard rep a while back. They just don’t seem to have an urgency there any more now that the other games have all the buzz. vicariousfan DrowNoble “leisurely” or as industry people like to say “healthy, sustainable, and appropriate”. Crunch is bad. It destroys studios, families, and PEOPLE. And no, throwing more people at the problem doesn’t actually help. WoW’s team has doubled in the last two years, and look what is happening? It’s about tools, pipelines, and expectations. I have a feeling the burning need for leadership to micromanage is the real problem, added with some people thinking that the things they are doing is right. Undon3 Let people who have criticisms and concerns voice them without needless opposition. I adore WoW and am obsessed over it but I still have the cognizance to get where he’s coming from and hope for more out of my favorite game ever! Roughly half of WoW’s subscriber base disappearing into the ether says otherwise. Another veiled QQ about raiding, which is to be expected from uber-casuals such as the author. 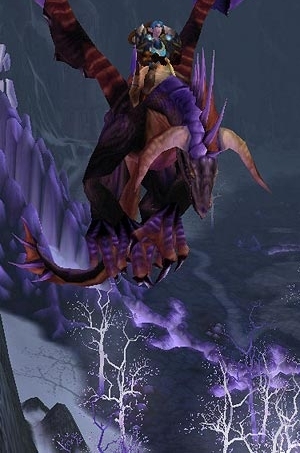 Yeah, WoD lacks content, no, raiding has nothing to do with it, we used to have content AND raids in BC and Vanilla. The content only 10% experiences, lol… used to be 1%. it’s also a lie, check raid participation numbers on wowprogress. When Blizz will make that 50% will experience raids, what will you do, QQ about the content that is only experienced by half the people? When will the QQ stop? hilliard Damonvile breetoplay Eliot_Lefebvre Caec Quantity is not quality. If it was, those games might have more than a few percent as many players as WoW. In Eve’s case, sure, it’s a deliberately niche appeal game. But the others have no excuses. If the game’s age were the problem you suggest it to be, people would not have purchased the expansion to begin with. People leave WOW so quickly because the developers have given them nothing compelling to do after the first month or two. Sorry, there are plenty of MMOs just as old or older than WOW that are not only surviving, but thriving. Runescape, Guild Wars, EQ, Rift, Eve . . . these games are prime examples of the author’s overall point, in that each pumps out new content at a dizzying pace compared with Blizzard, several have reinvented themselves with at least one 2.0 type revamp, and they do these things with fewer resources than Blizzard has at their disposal.